Are you looking for a unique and original greeting card for that special someone? Perhaps the Splotch Monsters can help you out with that. 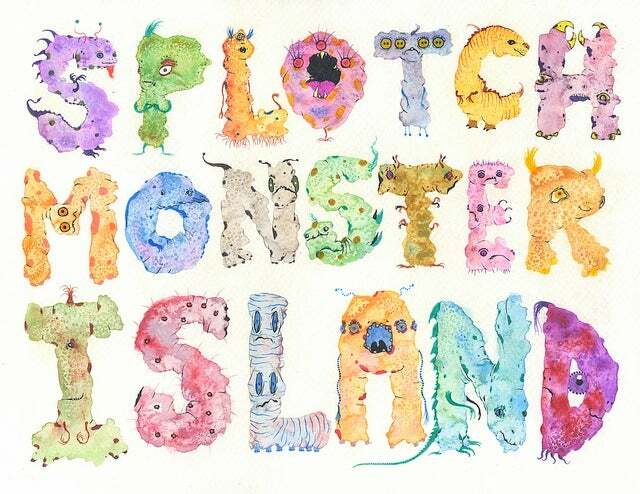 This beautiful greeting card spells out the word LOVE in Splotch Monster lettering, and is professionally printed on thick, off-white card stock measuring in at 4" x 5.5". It's a great way to say what you need to say and comes with a colorful envelope, packaged in a protective, clear wrap. The inside of the card is left blank for you to write whatever you want. Shipping costs are included in the overall pricing.